Do you hear the sounds of tribal drums? The sounds of a land far from our own, which jealously protects its secrets beneath plenty of canopy and tall trees? After all, many have come in search of this tribe’s treasures, treasures hidden away in the temple, which belong to their Gods. The question is will you aid the locals in preserving what lies behind the thick, heavy walls of their temple? Or will you plunder its riches and make off with the prizes within? The title offers gamblers a 5x3 playing field with 50 fixed paylines, a high volatility and a maximum jackpot win of 50,000 coins. 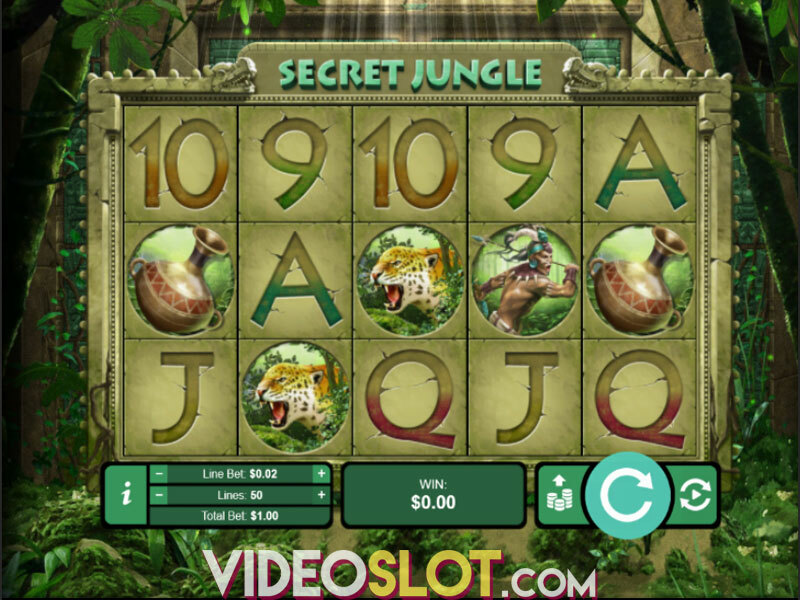 The main draw of the gameplay is in the special feature Secret Jungle offers – the possibility of winning 112 free spins with a 10x multiplier. We liked the visuals RTG put forward here. They’re not bombastic or mind-blowing, by any chance, but there are a lot of small details that keep things interesting. You see a few butterflies fluttering about, livening up the mostly static backdrop. An occasional firefly also moves through – but, apart from these two elements, the background picture is a static view of a closed, richly decorated temple. You can see the complicated carvings in the green stone, which were done before nature had taken its toll and encroached upon the temple, covering it with overgrown foliage, which has protected it from being found for all those years. Symbols include playing card icons like 9, 10, J, Q, K and A, as well as symbols with unique artwork like a cup, coins, a jaguar, a tribal man, most likely a warrior, and a tribal woman, the princess. Thanks to high volatility, expect the gameplay to be a slow affair, as you’ll have to go through a period of losses and small wins before the wins start opening up properly and you can expect most of the wins to come from the special features. The first of which, mind you, are free spins. The feature started when three, four or five Scatters in the shape of an Aztec pyramid appear on the playing field at the same time. It awards 8, 18 or 88 free spins. If only three Scatters activated the bonus, players start with a 1x multiplier, otherwise, they start with a 2x multiplier for four or five Scatter activation. 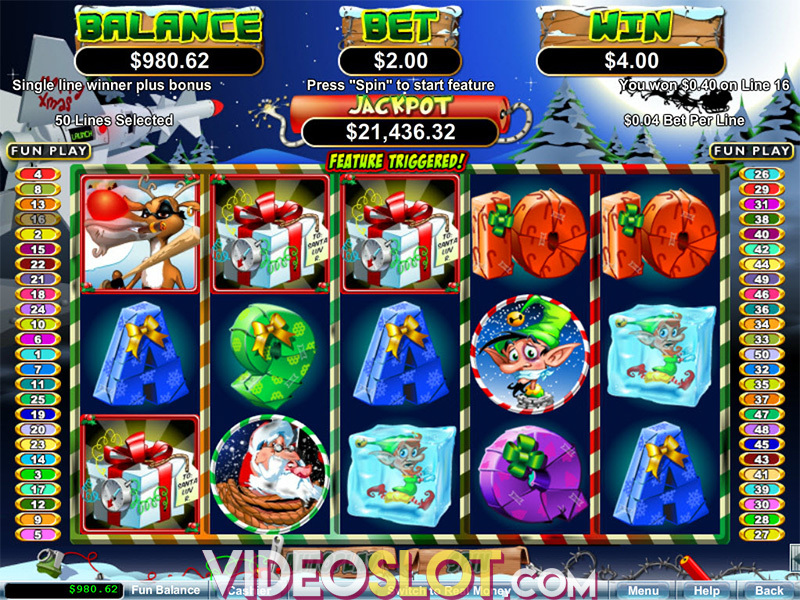 Retriggers are possible and they simply add 3 more free spins and another multiplier. It’s possible to reach a maximum of 112 free spins with a 10x multiplier this way, which can naturally lead to an awesome jackpot if things work out nicely. The second feature, which is far less glamorous, is Wilds that will apply a 3x multiplier to all wins it is a part of. The features aren’t the most unique thing about Secret Jungle, but they can reach some incredible heights with enough luck and the right circumstances. 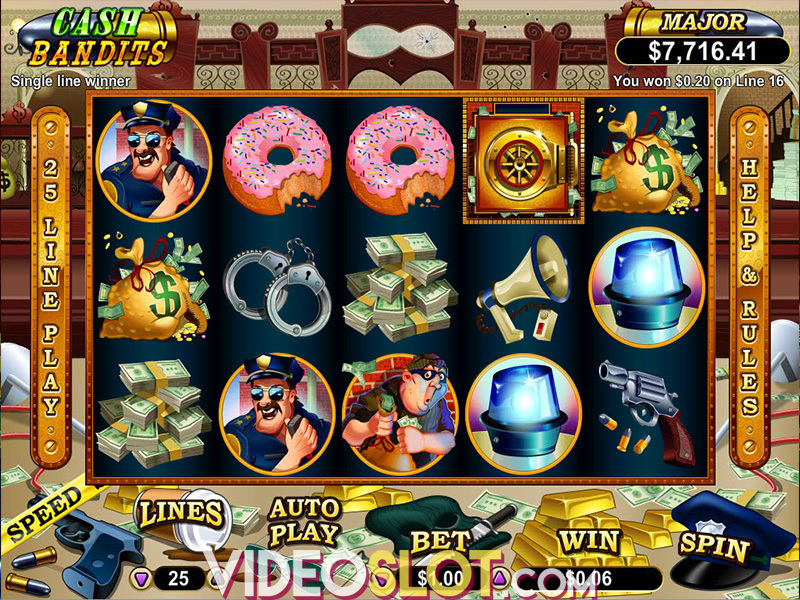 In our opinion, if you can afford the high variance gameplay, the jackpots are more than worth the trouble. Just be careful not to indulge too much and lose what you’ve earned chasing an impossible dream. Where to Play Secret Jungle?